Burn for a minimum of 2 hours and a maximum of 4. This will ensure the wax burns evenly. As you inhale the relaxing fragrance, practice mindful breathing techniques…breathe in through your nose for 7 seconds and out through your mouth slowly for 11 seconds. This candle smells amazing! It is really potent and fills the room! I will definitely be looking neom candles! feel relax without lighting it!! The smell is so strong that I don't need to light it yet. This candle was the first thing I noticed in this months box. It’s got the most gorgeous scent. I absolutely love it! I have it on my bedside table and even when it’s not lit it’s still so soothing and relaxing. This candle made the whole box smell divine. 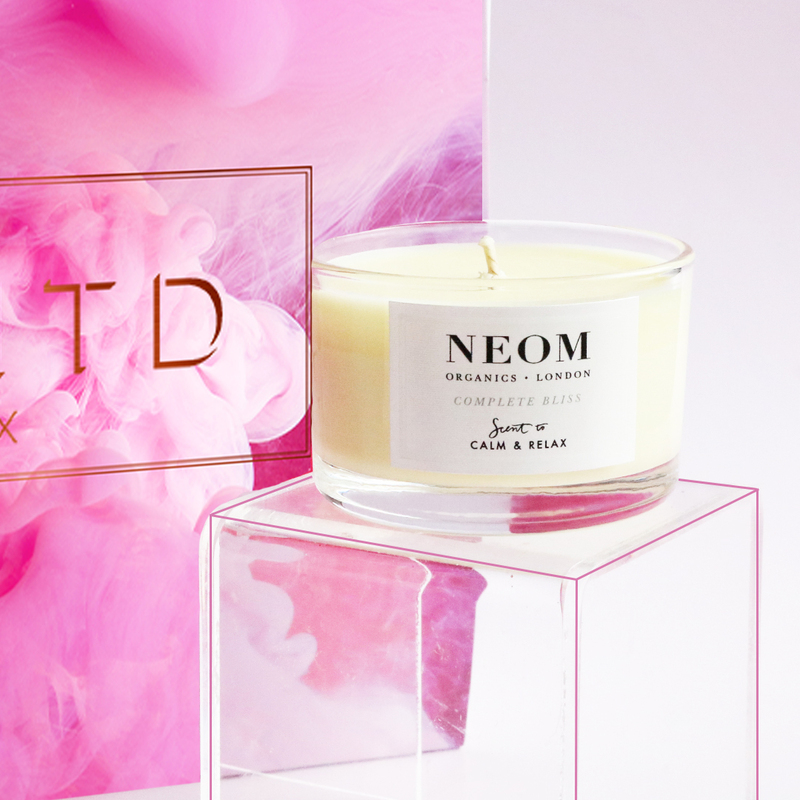 Neom candles burn beautifully with gorgeous scents and all natural! Brilliant.